Do tourists who visit Cancun and the Riviera Maya ever really experience the true essence of the culture of Mexico? My answer was always yes, and after month long adventure across the Riviera Maya and Yucatan I can assure you, yes, you can find it and enjoy it. But what about the traveler who only stays in the resort, books the all-inclusive and needs to be “sold” to even leave the compound for the day? They want to do one of the best things to do in Cancun, the best thing to do in the Riviera Maya? These travelers, that family, those romantic couples, usually take a tour or visit an attraction, right? Well, can they still find it? I wasn’t sure, but after a visit to Xcaret Park, I can say YES. 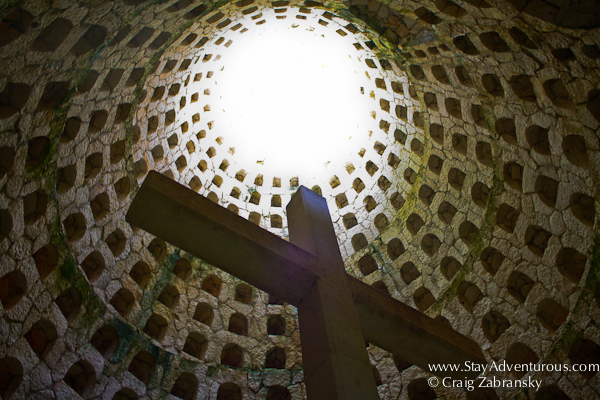 My first introduction XcaretExperiencas was the Xichen tour to visit Chichen Itza and Valladolid (with a tour of San Bernardino Convent). A perfect day trip designed to visit the famous Mayan ruins combining it with some Spanish colonial charm. 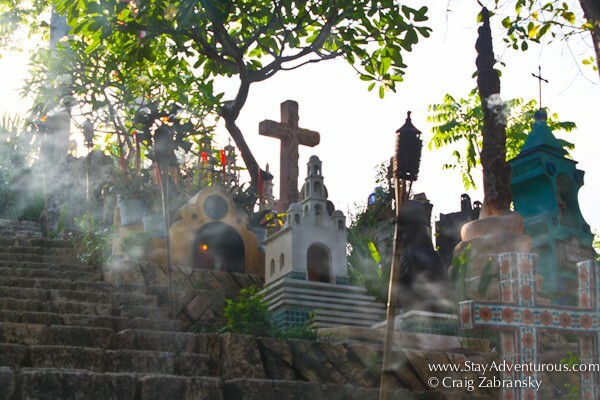 You can see plenty of “Mexico,” but I held doubts about Xcaret itself? Whether three, thirty or retired Xcaret has something for everyone to appreciate. At first (before I visited) I’ll admit I thought of it as a Mayan focused Disney World type park, now I know the park displays more than Mayan history and culture and doesn’t offer amusement park style rides. The park is a place to learn, rest, and have fun in a family friendly, eco-friendly setting. Xcaret is enormous and a map (provided at entry) is always handy, but the park’s paths also contain a color brick in the center to assist visitors when navigating the park. Trails can lead you to the water and beach activities, whiles others can lead you to the wild animals available to visit. Also, you can’t escape the park without visiting many of the exhibits and shows designed to showcase the colorful culture and the rich history of Mexico. And staying for the “finale,” the Mexico Espectacular is a must. 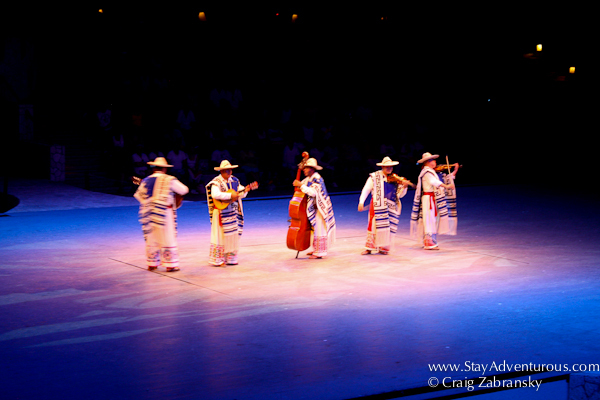 After watching a Xcaret sunset, prepare yourself for an impressive “Broadway” quality spectacle. The show, now in two acts, is free with admission or you can even upgrade to dine comfortably in the theater (I quite enjoyed my meal and drinks). It displays the culture, history, and sounds of Mexico. It is as spectacular as it is titled. 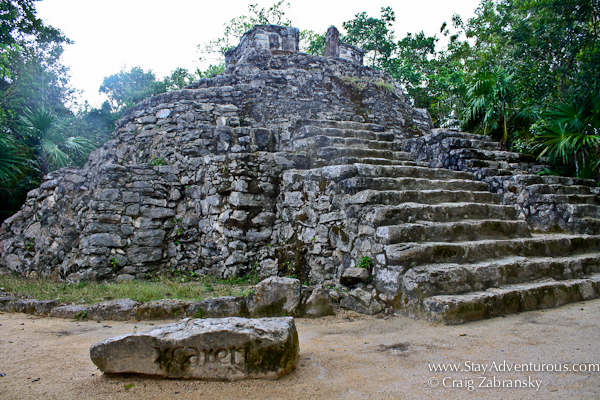 Well, now after a day at Xcaret, a tour with Xichen and spending a night at Xoximilco, I can confirm and even recommend these places as experiences not just for adventure, but as places to introduce tourists to Mexico in Cancun and the Riviera Maya. No doubt you will see marketing materials and road signs for their products that may remind of the US and its South of the Border sign-scape off I-95 in South Carolina, but it is a different quality. It is a different experience and it is one I recommend for tourists looking to leave the all-inclusive for a safe, clean, quality cultural experience (especially for first timers). Yes, “X” marks the spot for travel to Cancun and the Riviera Maya. I’d like to thank Xcaret for providing access to Xcaret Park. As always, the words, thoughts and opinions are my own. And on my next visit, I look forward to eXploring and eXperiencing other parks and tours in the Xcaret portfolio: Xplor (adventure park), Xel-ha (snorkeling and water park) and the Xenotes tour (cenote tour, a must on my next visit) and the new recently opened Xenses Park. 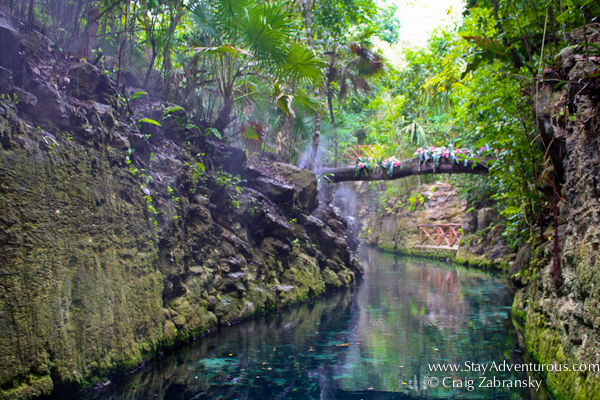 See all the X parks at > ExperienciasXcaret. 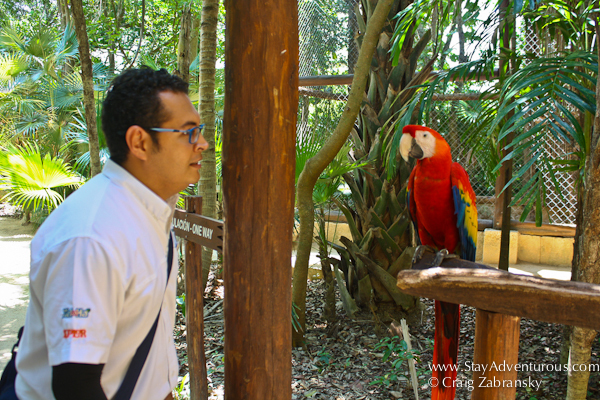 Craig–thanks for posting—i want to get to Xcaret one of these days–of interest last year halfway working with the scarlet macaw release in los Tuxtlas—i learned that Xcaret was actually the place that kept that species from extinction — the biologists were able to get the birds there to re-introduce into the wild–so, I sure plan to visit on my next trip south. 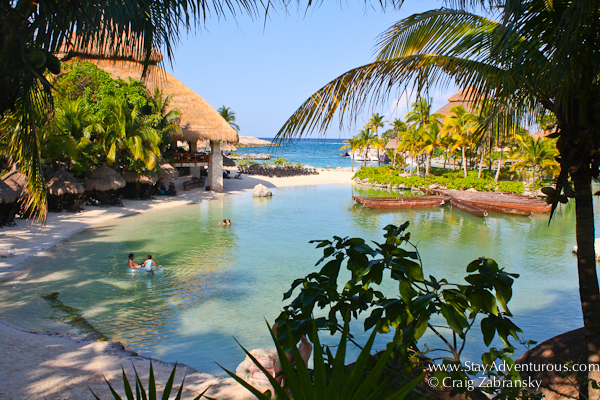 the X parks really make a difference… glad you’ll give Xcaret a look. Definitely stay for the show too…. so. well. done. I really must make my way back to Mexico. I know, I’ve been saying this since we’ve met, but I really do. I’d like the Zabransky tour though, and I’d like to go here, please and thank you! Your pictures of the park are beautiful. I loved Xcaret. There was lots to see and do there for everyone. The shows were very colorful and entertaining. It is a must visit if you are going to Riviera Maya.